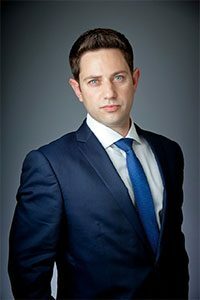 Mr. Aaron is an investment associate at Marcus & Millichap specializing in the sale of investment properties on the lower east side of Manhattan as well as the East Village, Gramercy, and Flatiron District. Prior to joining Marcus & Millichap Robert was one of the top reps in the country in the medical sales industry. He also spent 5 years in residential real estate in Manhattan excelling in rentals and sales throughout Manhattan. Robert graduated from the University of Maryland with a degree in Criminology & Criminal Justice. In his spare time, he enjoys playing various sports and spending time with his family and friends.